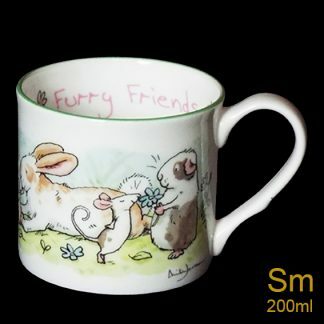 Two Bad Mice have a large range of cards and gifts for rabbit and bunny lovers; of special interest are the rabbit products featuring pictures by Anita Jeram whose watercolours adorn the classic children’s book â€œGuess How Much I Love Youâ€ which featured a “Little Nut Brown Hare”.Â Anita seems to have a particular fondness for rabbits and uses them often in her work.Â Many of her rabbits make particularly good Valentines and love tokens, as in “Big Love”, “some Bunny to Love” and You’re The Best” and she wrote and illustrated “Bunny My Honey” which started life as a title for one of our greeting cards. 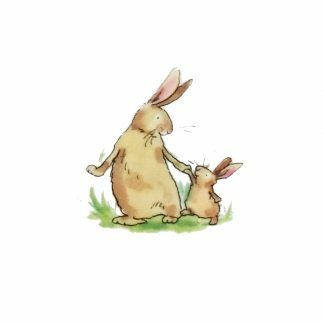 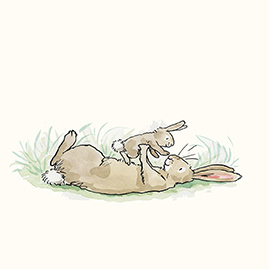 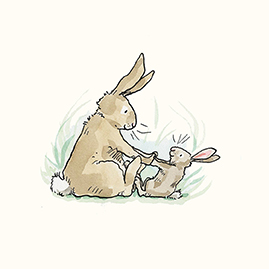 Sometimes her rabbits have wonky personalities that appeal to adults; Cloud Watching has been our best selling card of all time, and now there is the mug too. 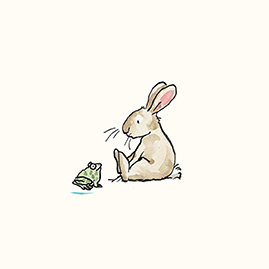 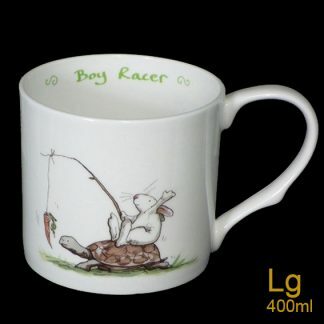 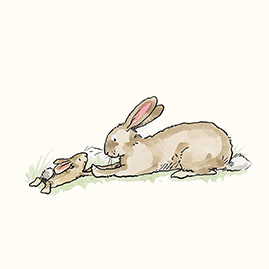 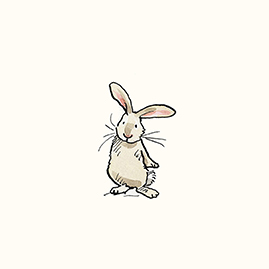 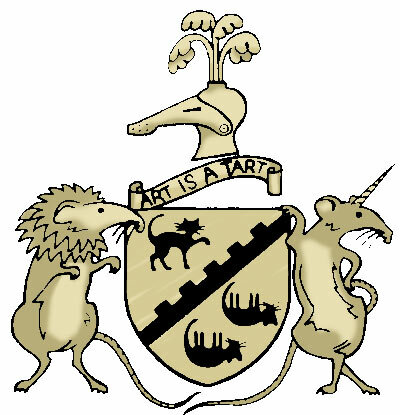 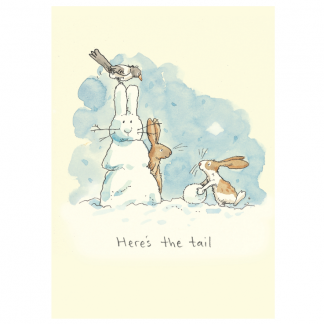 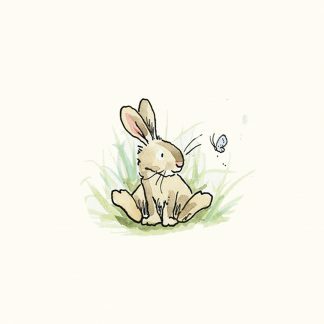 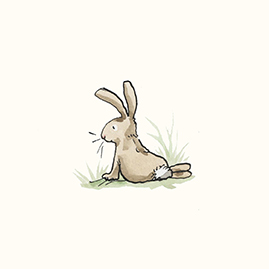 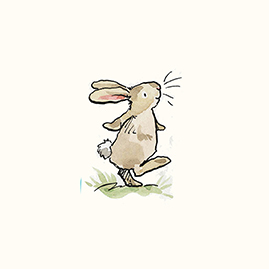 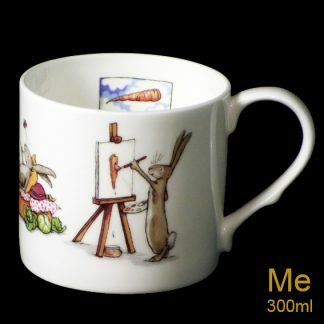 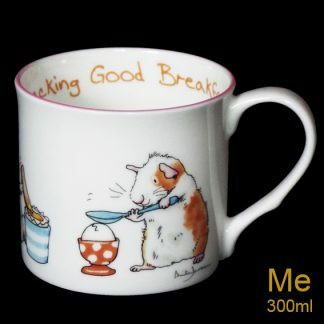 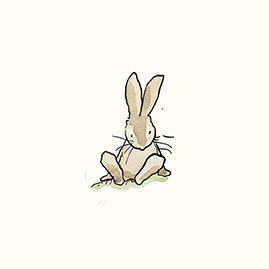 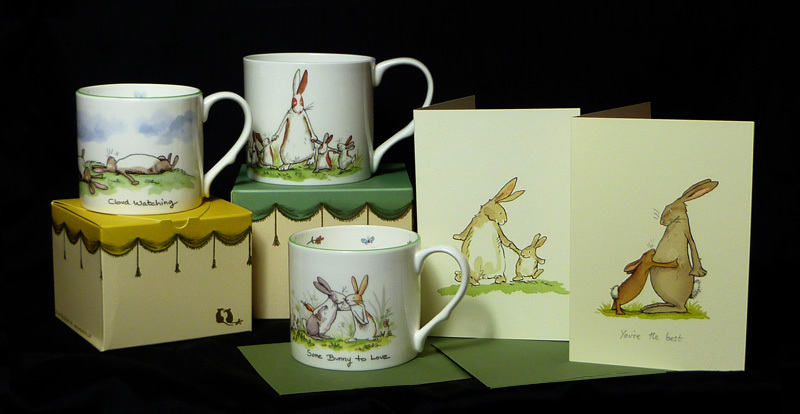 On this page you will find all our Rabbit products, including work by Alison Freind and Fran Evans.